Why do I need a Property Investment Plan? Your personalised Property Investment Plan is a complimentary service to help you develop a clear strategy through property investment. Each Plan is personalised and tailored to your individual situation. We forensically review your financial position and develop a strategy to help you achieve your goals, whether it's financial independence or establishing the retirement you deserve. Within your Property Investment Plan we include information about DPN and our services, our credentials and industry accreditations. 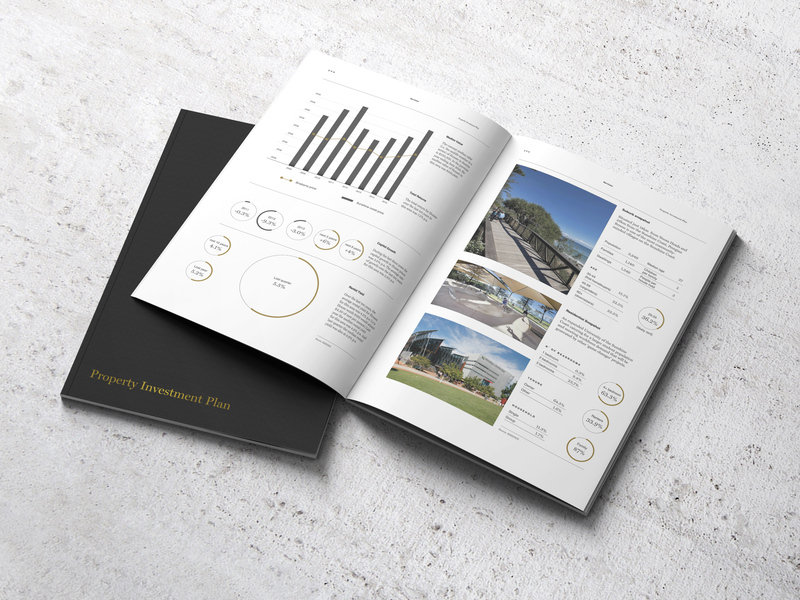 In addition, we'll share a selection of hand-picked property opportunites which align with your strategy and budget, sourced from market-leading, independent research and our proven selection methodologies. The investment portfolio graph shows the portfolio you’ll need to retire comfortably. The calculations included detail your assets, liabilities, target portfolio and timeframe in which you would like to retire. From there, based upon your financial capacity, a plan to move forward is illustrated. The impact of each property purchase is modelled showing you the total portfolio and how it affects your annual cashflow. We use financial modelling to show the impact various strategies can have on your cash flow today and in retirement. The financial independence calculation outlines your starting position and target portfolio. * We can arrange a video meeting via Skype if you aren't able to visit our office. A Property Investment Plan is a guide. Before making any financial decisions, we recommend that you share this plan with your Accountant or Financial Planner, particularly if you’re considering using a Self Managed Super Fund.